A look at the resurgence of values from the distant past among today’s composers – a marked reaction against the onward march of modernism. In discussion with distinguished performers who make no distinction between ‘early’ and new music, Piers Hellawell ends his series with the question ‘is musical history circular?’ This event will involve live performance. Admission is free but reservations are required. Tickets are available in advance from Gresham College. 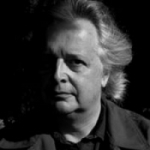 Piers Hellawell is a composer, writer and photographer. He is Professor of Composition at Queen&apos;s University in Belfast and was the Gresham Professor of Music between 2000 and 2003. His work has been performed at the Henry Wood Promenade concerts and by the Vanbrugh quartet, Stockholm Chamber Brass and the BBC National Orchestra of Wales. He was awarded a Leverhulme fellowship in 2010. All of Piers Hellawell&apos;s previous lectures may be accessed here. The Last Post- for Modernism? My subsequent talks looked back on a century, up to 2000, that would surely have disappointed Schoenberg and his supporters. Yet whatever the millennium holds in store for him – and the answer to Gould’s question may be ‘not much’, as far as a popular breakthrough for the Viennese giant is concerned - one aspect of the musical picture today would surely have surprised even a commentator of Schoenberg’s prescience; and that is the subject of my final discussion. The suffusion of our musical world with features found in music of the distant past is part of a wider negation of that mainstream envisaged by Schoenberg. His sacred notion of historicism, of an inevitable musical unfolding that feeds upon and reinvigorates tradition, appears to have been rudely interrupted by the great carnival of alternative value-systems that we group as ‘postmodernism’. Among many post-modern trends that challenge the purity of modernism, the return to techniques and materials of earlier Western music at least delves back into the European inheritance that Schoenberg upheld so fervently. Nonetheless, the musical world echoed by composers such as Pärt is now so removed from the avant-garde of the mid-20th Century as to inform an alternative aesthetic, a challenge to that avant-garde. Its rise and rise in ownership – in marked contrast to what we are constantly told is the lack of ownership of the avant-garde itself – lead me at least to ask if, well, postmodernism has sounded The Last Post for Modernism. EX Live music: Litany of the Whale (excerpt). It is not necessary to debate where the ‘right’ path lies, as if we have to choose – time will in any case make fools of all our assertions - but what is maybe remarkable is the pluralism of our musical pageant in the new millennium. I wonder if this diversity, this refusal to agree about the basic territory, has any precedent in Western art? It is usual to assert, and usually I agree, that nothing is new in cultural history; that wherever we find ourselves in the maze, we have been around before. But I am asking whether the vigorous concurrent practice of entrenched rival belief-systems, plural aesthetic paths, is something unprecedented. Up to a point, I think there is some precedent for the tendency toward polarity, for I think the history of Western music has advanced, unsurprisingly as a human activity, according to pendulum swings. This can be clearly seen in the language of the early classical forms of the mid-18 th Century: the chugging bass-lines, that sustain a single harmony under a melody, are a reaction against the restless harmonic change of the Baroque texture of Handel’s contemporaries, with its ‘walking bass’, incessant cadencing and combination of lines that imitate one another. This change in musical purpose, toward long-term harmonic stability and struggle, was really a big shift in assumption about music’s fabrics in the middle of the 18 th Century. I admit that I used to see this phase as a historical parallel with our own time - the emergence of irreverent, experimental traits as a sort of ‘punk’ reaction. Yet the 18 th Century is, I now realise, by no means the same as today’s style pluralism - for the Classical language emerged out of, rather than set up against, the linear Baroque predecessor that it was to supplant; the former manner, meanwhile, quickly became an archaism, something to be studied as a training discipline. The older techniques were only to be reintegrated back into the new, Classical manner in the greatest works of Haydn, Mozart, Beethoven and Mendelssohn, who had the technique to reinvent an old contrapuntal manner within their own language. This strikes me as evolution at work – each stage forming the platform upon which the next is laid, like Escher’s never-ending staircase. Schoenberg espoused this view of artistic progression 3, and in fact his pupil Webern outlined such a lineage, step by step, in his lectures 4 ‘The Path To The New Music’, which I also cited back in my inaugural lecture. Webern presented the progressive view, of a growing flexibility evolving through Western music; from this, of course, the logic must be that it is a nonsense to turn back! Onward equals upward, so to speak. He expressed – and this relates to today’s topic – something like contempt for those who had persisted with tonal harmonic materials in the 30’s, 25 years after Schoenberg’s ground-breaking 2 nd String Quartet of 1906. If Webern’s stance there seems fundamentalist, remember that the flow he expects is no different from that of the emerging Classical language in the 1740’s, my own example! Both can be seen through the same lense, the grinding of architectonic plates on which music rests. This is evolution; why should music stand still in 1906 if not in 1742, Webern might ask? The big contrast comes between this evolutionary character, that ‘shifting of plates’, and what has happened in our own time, which can in no way be seen as inevitable transition. I have already described our cultural milieu as of negation and confrontation between exclusive artistic paths, paths held by their exponents as viable. The alternative musics of the last 50 years, the sound-worlds of Litany of the Whale, Riley’s In C or Pärt’s Tabula Rasa, exemplify this turbulence in constituting an ‘attack’ on, or at least a secession from, a self-appointed mainstream - actually that mainstream tradition so clearly set out by Webern. Arvo Pärt did actually explore that path, and its serial technique, which makes his subsequent direction the more poignant for me. Historical precedent for this denial of tradition is more readily found elsewhere in our time than in the past. When I said ‘our age has been about negation’, I might equally have been thinking about Stravinsky’s abrupt rejection of the late Romantic language, back in the teens and twenties. Stravinsky reached back, in manifest disgust, to the palliative of bygone ages, including the 18 th Century and earlier music. His reaction to the musical mores of his day was hugely influential, and in a way the coexistence of that widespread neoclassicism with other modern trends was a precursor of our more recent aesthetic pluralism. In earlier times there were of course rival trends, guerres des bouffonsbetween champions, but they tussled within a consensus about music. What delineates the 20 th Century from the seasonal parade of earlier Western music is that loss of consensus, and thus ownership, that my series has explored. The evolution of classicism embodied an age of tonal consensus, in that it fell within a wider agreement about the nature of music: I suspect that even Brahms and Wagner fell within such a pool of light. This is what we have lost in the last hundred years, riding instead the hectic pluralism that is individual style or, in Adorno’s term, ‘individuation’. I have already devoted quite some attention to this, the idea that a new work is its own self-referential world rather than a specimen of genre, like a Baroque sonata or, of course, a modern commercial song. Such genres constitute the warm ‘indoors’ of belonging, while individuated art must explore, out there, out in the dark. So I am tracing the turbulence I have outlined to our musical condition after Romanticism, that we are an age without the embrace of artistic consensus. Despite Schoenberg’s revealing boast about ensuring the continuation of German music for 100 years, numbers of serious composers have been unable to take the post-tonal European road, charting instead other paths that were not part of his essentially simple and conservative vision. The modern reality seems to be that composers with no common ground whatever are working away at one time, in one world. These are both musics of today. These examples, however, remind me of some important footnotes to my image of polarity. Firstly, and I cannot overstress this, those extremes of complexity and directness are just that – extremes: the majority of composers operateswithin this continuum rather than at its extremes, many of us integrating materials from all streams. To be personal, the materials of blues and jazz, serial method, non-western and early music are all part of what I write, and some sort of synthesis informs most composers. I have not forgotten, either, that in an earlier talk 5 I put forward a viewattacking surface caricatures of these styles as simple vs complexextremities; I suggested that if we assess the music by how it behaves, not by how it looks, Part’s work can be seen as closer to Elliott Carter’s than to that of some ‘holy minimalists’. At that level this does contradict my use of these two today to represent polarities; my tape example just now reminded me that these apparent poles are somehow linked, by a narrow focus, a concentrated expression that is itself arguably a facet of ‘modernism’. You do not have the sense of a music in which anything could happen: that is not its behaviour. Yet the behaviour of music may yet be a distinct entity from its style, its aesthetic world; and the gulf between these entrenched aesthetics is, perhaps, intrinsic to our own time. And then again, it would be quite wrong to contrast the avant-garde and its reaction as, respectively, disdainful of the past and ‘going back to medieval music’. Modernism owes everything to its past – remember Escher’s steps. One only has to think of Maxwell Davies’ use of plainsong as modern scaffolding, or of Adorno’s brilliant insight, cited by Boulez 6, that ‘there is more tradition in one bar of Webern than in Prokofiev’sClassical Symphony’. These remind us that, as Boulez put it, new researches fit perfectly into tradition, but “living tradition, not the congealed tradition of academic clichés”. Though in two of these footnotes I have blurred the abrupt polarity previously set up, I believe one central issue does divide most music of the last 50 years. When I said ‘we are an age without consensus’, I specified lack of harmonic consensus, and it is our approach to harmony – the result of notes sounded together – that runs as a fissure across our sound-world. I believe every composer’s work lies on one or other side of the dichotomy I now outline. My inaugural talk looked at the beliefs of Schoenberg that typify modernism - notably that harmonic vocabulary is an evolution, a journey that cannot be meaningfully be reversed. Schoenberg’s final utterance, on his deathbed, was reputedly the word ‘harmony’. Within this progressive view, so trenchantly set out by Webern earlier, no music can convincingly present harmonic vocabulary of the past; any more than modern prose can revert to using ‘thou’, ‘dost’ or ‘wert’. Such vocabulary would import unexplained connotations, and those who wish the avant-garde sounded more like music of the past need to understand this! That is one side of the fissure. This principled outlook has, however, come under challenge with increasing vigour from the other side. One thing that does unite the music of many serious composers, otherwise divided, is a willingness to reintegrate tonal materials 7. Kapoor was clear about this reintegration going on in Arvo Pärt, noting “harmonies that are at the same time very old and completely reinvented”. The techniques of mediaeval music may predate by 450 years the tonal system that we hear every day, but they, too, recognize a hierarchy of consonance and dissonance that allows harmonic repose. So today’s composer may either hold that these familiarities can be cautiously recreated within new expression, or may view tonal connotations as unfailingly distracting. I am one of the former: I feel that the interval-combinations that sustained the consonance/dissonance hierarchy are a perennial landscape feature; we are at some times far removed, but at others can still draw fresh water there, so to speak. Schoenberg attacked this view, that the properties of tonality are ‘immutable’ or ‘natural’; as I said, it was for him a staging-post in a much greater unfolding. But in the end a composer speaks according to what he already finds musically - preaching what he practises, rather than the reverse – and so, indeed, I speak as I write. 3 I dealt in more detail with his views and their effect in my inaugural talk and subsequent lectures. 7 Of course, many of these composers use ‘tonality’ in contexts that may include other harmonic systems, for example from popular or non-Western musics.